Norwegian’s (NAS) passenger growth continued in June. Over 1.9 million passengers flew with Norwegian, up 21 percent compared with the same month last year. The company continues to grow and increase its capacity in new markets. The high load factor confirms that new capacity is also filling up well. Norwegian reports record passenger figures in May. 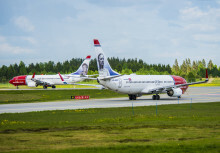 Almost 1.9 million passengers flew with Norwegian in May, which is the highest number of passengers the company has carried in a single month. The total on-time performance was 90.1 percent. With an on-time performance of as much as 94.5 percent, the Helsinki base reports in at first place, closely followed by Bergen and Alicante. Norwegian Air Shuttle continues its European expansion. Today, the company announced that it will launch new routes from Hamburg, Cologne and Munich to several Spanish destinations this autumn. 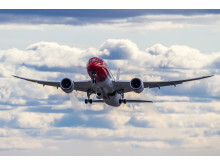 Norwegian reports strong passenger growth in April, due to the opening of two new bases in England and Spain, and the launch of several new routes. The company carried more than 1.7 million passengers this month, an increase of 364,986 (27 percent) passengers compared to the same period previous year. 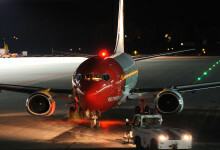 Norwegian (NAS) today reported its first quarter 2013 results. The company improved its result (EBT) by 238 MNOK compared with the same quarter previous year. It is one of the best first quarters in the company’s history. 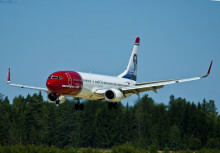 Norwegian flew more than 1.2 million passengers in January 2013. This is an increase of 9 percent compared to January last year. 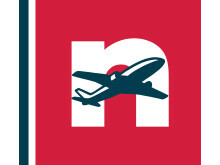 Norwegian (NAS) today reported its year-end and December 2012 traffic results. A total of 17.7 million passengers travelled with Norwegian in 2012, an increase of 13 percent compared with the previous year. Norwegian’s (NAS) passenger growth continued in July, resulting in one of the best months in the company’s history. More than 1.8 million passengers flew with Norwegian in July, up 14 percent from the same month last year and the highest ever passenger figure.